Relive the action from this years Silverstone Classic 2016 as ITV screen their highlights programme on ITV4 later this week. There was a lot to see over the 3 days of Silverstone Classic 2016. Just in case you missed anything ITV4 are showing a highlights programme this week. Let’s have a look what’s in store? Well for starters – historic racing. Three of Silverstone Classic 2016’s stand-out races enjoy extended coverage on ITV4 – Tin Top Sunday, the FIA Masters Historic F1 Championship round and the commemorative grids marking 50 years of the North American Can-Am sportswear race series. ‘Tin Top’ Sunday’s crowd-pleasing showdown for the tail-happy Touring cars under 2-litres. Recalling the epic Touring car duels of the early sixties. The sight of hordes of battling Lotus Cortinas, Alfa Romeo Giulia Sprints, BMW 1800Tis and, of Mini Coopers is always popular with the fans. 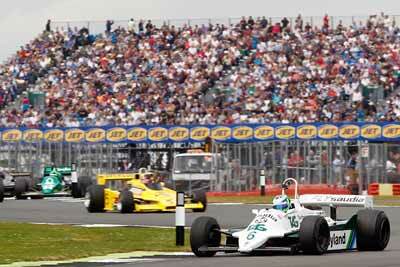 The Williams F1 Team scored its first-ever GP win at Silverstone, so it was fitting that both Masters F1 races at Silverstone Classic 2016 were won by Nick Padmore in a Williams FW07. The car Nick competed in was very similar to the car Clay Reggazoni raced back in 1979 to that breakthrough victory. 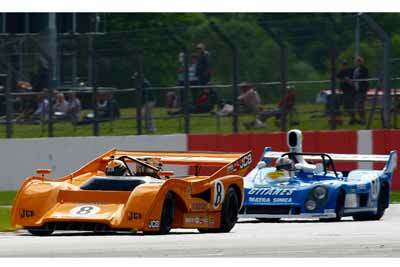 The two Can-Am 50 Interfere Challenge races also proved unmissable at this year’s Silverstone Classic. In both races, Rob Hall’s V12 powered Matra MS670B/C and Andy Newall’s McLaren M8F epic on-track duels kept the crowds on the edge of their seats. 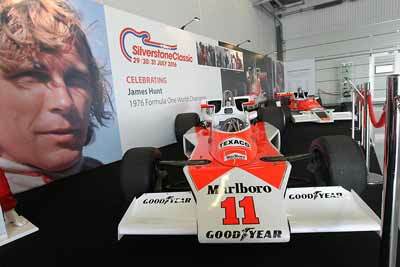 Silverstone Classic 2016 also celebrated 40 years since James Hunt won the 1976 F1 World Championship. Andy Jaye catches up with Alastair Caldwell, McLaren Team Manager back in the seventies, as well as James’ son, Freddie, who curated a display of his father’s F1 racers at the festival. The special one-hour programme will be aired on ITV4 at 9pm on Thursday 11th August 2016. The programme will be repeated at 10am on Sunday 14th August and, again at 5pm on Tuesday 16th August.